Home » Books » Short Fiction Black Friday: What Would Your Gift Be? Short Fiction Black Friday: What Would Your Gift Be? Here in the United States it is Black Friday, a day that actually began in the early evening hours of Thanksgiving Day, where, satiated with turkey and the fixins and done with football, the consumerism of Christmas began in earnest. Drawn by irresistible temptations of deals too good to pass up, people are out all over the place navigating the mine field of the holiday shopping season. Not me. I’m at home, reading, and thinking of what gift giving means to those of us who are readers. Over the course of this past year I have been able to present a variety of short stories to the readers of SF Signal, an opportunity that I appreciate as the medium is one I feel very passionate about. A recent Mind Meld approached the idea of anthologies and if they are important and why, which got me to thinking: if I could play editor and put together my own anthology of previously released works, beautifully bound with a stunning cover, what stories would I pick. Keeping in mind that the gift giving season is upon us, I would want to put together an anthology with stories that I want people to read, be they classic, modern or a mix of the two. And of course the curious side of me wonders just what the Table of Contents would be if you were able to create such an anthology as a Christmas gift for the readers in your life. And so today, instead of reviewing short fiction, let us simply talk about short fiction. I’m not sure I’ve read a more talked about classic short story. It seems to generate great devotion from some and contempt from others who like to point out how illogical the scenario would be. I tend to think that misses the point of the story which is about choice and sacrifice and it packs the kind of emotional punch that makes it a memorable story that I frequently recommend. This novelette begins with a powerful opening ‘chapter’ that ties in well with the stories end. It then proceeds to focus on a lone moon-based robot, Sam, an anomaly among his kind in that he has developed a friendship with man, in particular Hal Norman, and has been accepted among them. When the men of the base are suddenly recalled to earth because of war, Sam is left behind believing that it is only a matter of time before his companions return. This was my first experience reading Lester del Rey and it has left a lasting impression. “Patriots, smugglers, soldiers, spies—you’ll find them all, along with murder and intrigue, at Suzanne Palmer’s grand old Mars Hotel.” And find them all you will. “Hotel” is an immensely satisfying story filled with eccentric characters and the twists and turns you expect from a good spy/espionage tale. Though Mars merely acts as a mostly-silent setting for this story it remains a thrilling setting for those who like that good ol’ nostalgic feeling of stories that dreamed of human and aliens coexisting on the Red Planet. Palmer’s novelette was published in the January 2013 issue of Asimov’s Science Fiction and sadly received little talk online. I want people to read it, in large part because it demonstrates how a complete, satisfying story can be had without having to be novel-length. This story alternates between the “present” of the 1990’s where a man named Landers comes across a treasure trove of 1940’s science fiction magazines and the actual 1940’s where two gentlemen are putting together a science fiction book club. On a lark Landers decides to send off a subscription order to the original publishers and oddly enough it arrives…in 1947. Blaylock weaves these two stories together nicely into a tale with a heavy feel of nostalgia and a greatly satisfying finish. Smith’s story is based on the legend of Joan of Arc. It involves destiny and prophecy and while it works as a stand alone story it also fits beautifully in the greater Instrumentality of Man universe. This is a story that asks, ‘what price, freedom?’ and speaks of how one’s actions can reverberate throughout the course of history. “The Dead Lady of Clown Town” is a story with great relevance almost 50 years after its original release. Anthropologist Evan Schaefer is given the chance of a life-time, to go to the rescue of an unknown race on a recently discovered planet. To do so he must break the so-called “Hands Off” law, a precursor of sorts to Star Trek‘s First Contact law. Success or failure, life or death, he may never speak to anyone of the 10+ year mission. Along with his wife, Lee, ecologist Tino Sandoval, and a contingent of UN members plus captain and crew, Schaefer sets off on an adventure that will profoundly effect the rest of his life. Whether they are multi-dimensional or representatives of certain character types, Oliver writes people who are interesting to journey with. The main characters are well-realized and the story has a solid emotional impact that compels me to suggest that it is recommended reading. My only experience with Oliver’s work, but it was a good one. I read this several years ago and it remains in the forefront of my mind when I think of good short science fiction. This is the story of Rhysling, The Blind Singer of the Spaceways, told in the format of a magazine article that contains lines of verse from some of Rhysling’s songs. Though told with the trappings of science fiction, this story would be every bit at home in any setting. Rhysling is the kind of character we have perhaps all seen many times before–the wandering minstrel, the beggar with a good heart and plenty of stories to tell. Rhysling is more than that though. Rhysling is a hero. A man who sang songs that in turn will be the subject of songs yet unwritten. There is no need to say anymore. This is a great story, showcasing Heinlein’s ability to craft great verse as well as great prose. 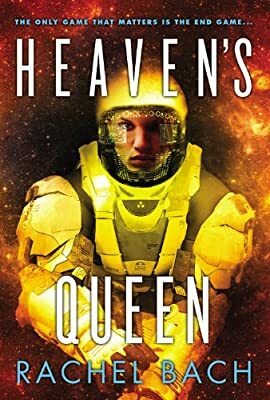 Cadigan’s Hugo and Locus winning novella is a story about a Jovian Operations crew of asteroid miners and a possible next-stage of evolution that would allow humankind to live and work in the harsh realities of space. It is a story that very cleverly examines the kind of sacrifices that not only have been made for our past efforts to move beyond Earth but those that might be necessary to continue that journey. This is the story of the intersection of the lives of two women on a space station named Longevity. In the far distant future the dominant culture is Galactic, represented as the more ‘civilized’ world-view. Longevity is an independent station of Asian influence that acts as a tourist spot throughout the Galaxy. Quy is a young Asian woman who is called in on her day off to return to the family restaurant to help her uncle negotiate a business deal with an important Galactic visitor. Agnes is the wife of this businessman and it is apparent from the very beginning of her story that something is desperately wrong. As “Immersion” unfolds the reader is presented with a very intimate story that carries within it a larger context of cultural identity and an examination of the effects of colonization. Without resorting to judgment “Immersion” makes a case for embracing and maintaining cultural identity in the face of ever-growing globalization. This one won the Nebula and Locus Award and is probably on everyone’s radar, but it is one of the most impressive short stories I’ve read in years and I want everyone to read it. A clandestine meeting on London Bridge offers Thomas Ayliffe the time travel opportunity of a lifetime: the chance to go back to 1674 to pull of the greatest heist in history. This same journey offers Neyla Kendrick a chance to investigate the unsolved murder of the two young Princes in the Tower who disappeared during the reign of Richard the Third. Needless to say, two people at such cross purposes on a delicate and dangerous trip back through time are bound to find themselves in trouble. After the interesting groundwork is laid, the story ratchets up in suspense with each turn of the page. I thought for sure I had the whole thing figured out…turns out I was wrong. When I first read this I was reminded of Heinlein’s The Puppet Masters, one of his I thoroughly enjoy. Jason, a miner in a failing operation on Mars, is in a tunnel when an explosion traps him underground. Presuming him dead, his fellow workers abandon him when they decide to pack up the entire operation and return to Earth. What follows is a Robinson Crusoe-like tale espousing, among other things, the virtues of solitude. This one makes a nice companion story to “To Avenge Man”. It could be argued that this is not really science fiction, but it is the perfect end to this imagined anthology given that today is Black Friday. Peter Pinter is a man averse to passing up a bargain, irregardless of what the true cost of that bargain might be. His obsessive need to get the best deal leads to unforeseen consequences. For my Gift To You anthology I would probably call upon the ghost of John Berkey to paint a gorgeous cover featuring a spaceship of some sort. So how about you? What short stories, novelettes, or novellas would you gift to readers if you had the opportunity? Who would be your cover artist? 2 Comments on Short Fiction Black Friday: What Would Your Gift Be? This is pretty much a list off the top of my head. I’m sure there are stories I’ve left out that I’ll regret tomorrow. Trying to stay with SF although one or two might be better qualified as Fantasy. I’ve read the Wolfe story, came really close to adding it to my list to be honest. Also really like the Cordwainer Smith one. It was the first Smith I read, in the Space Lords collection. That book made me a fan. I also liked The Choice. The others are ones I’ll have to keep an eye out for.